The actress is expecting her first child with Strictly Come Dancing professional Gorka Marquez. 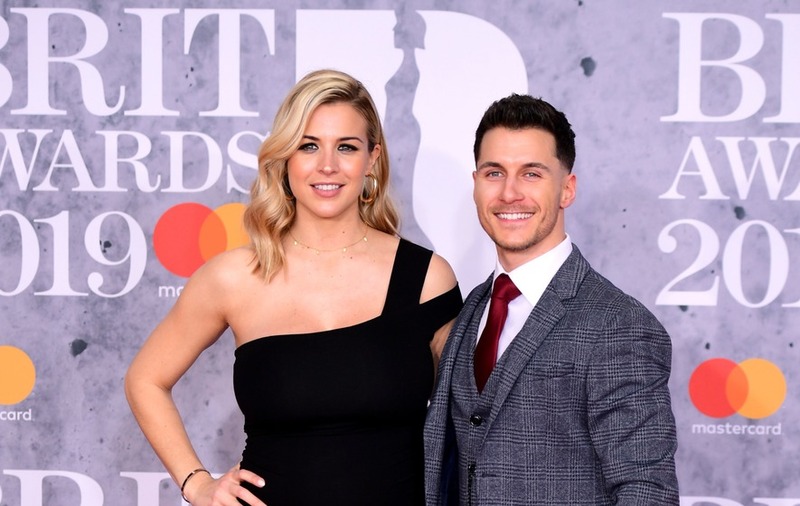 Gemma Atkinson showed off her baby bump as she enjoyed a night out at the Brits. The actress – who is expecting her first child with Strictly Come Dancing professional Gorka Marquez – looked radiant in a fitted black dress, which left one shoulder bare. 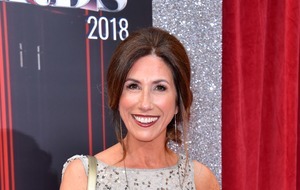 The former Emmerdale actress revealed her baby news earlier this month by sharing a picture on Instagram of her two dogs. In the image they were seen wearing placards which read “Guess what… Mum’s pregnant” and “We are going to be big brothers”. The couple met on Strictly when Atkinson was partnered with Aljaz Skorjanec and Marquez with Alexandra Burke.